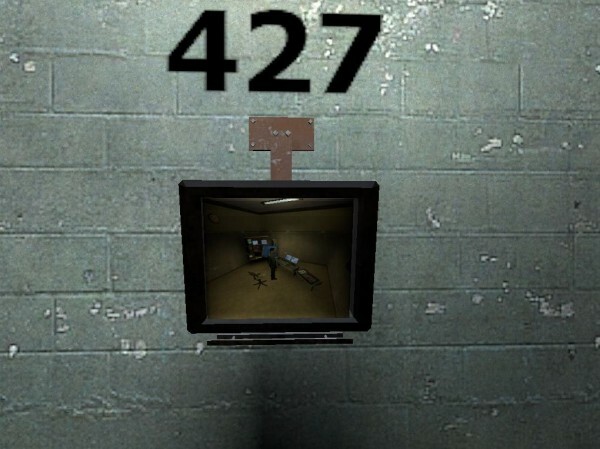 The Internet is currently on fire because of the Stanley Parable, a quite different Half-Life 2 mod. We had the opportunity to talk to the creator about it. The interview contains spoilers, so if you haven’t played the game yet, do so right now. Preferably without watching the trailer or reading up on it. Thanks for agreeing to this interview. Tell us a little bit about yourself. 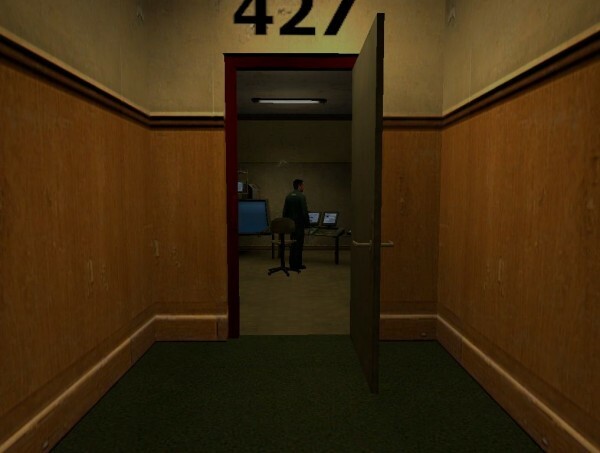 Who is the man behind The Stanley Parable? My name is Davey, I recently graduated from USC film school, and I’ve lived in central California my whole life which is strange because I’m a total wanderer. I tend to float around from place to place, person to person, in and out of different media and stories. I try to hang onto the things that really move me, but mostly I want to explore new things and surprise myself as much as possible. As my game might indicate I can get a little…heady at times. My friends have learned how to shut me up when I start doing that. What was the inspiration behind your game? Every game I’d ever played prior. When you’ve played games all your life you start to see exactly what the tropes and expectations are, how a game is “supposed” to be. It was the games that began doing something a little bit different to throw you off guard, like Bioshock, Braid, Portal, Shadow of the Colossus, Radiator, that really got me thinking. These games got a question stuck in my head: what could narrative in games really be? What’s acceptable in a game? What is possible even if we didn’t think it was possible? More than anything it’s these questions that drove me to create the game, and I really don’t think I answered any of them, I just asked them in a really bold and direct way. The question is far more interesting to me than the answer. I literally just began thinking of everything I could do that would mess with peoples’ expectations, then making it fit somehow in the game. As for the actual narrator himself, I have no idea where that came from. Again, every game I’ve ever played. I have to admit, the way you handled video game tropes was quite clever. 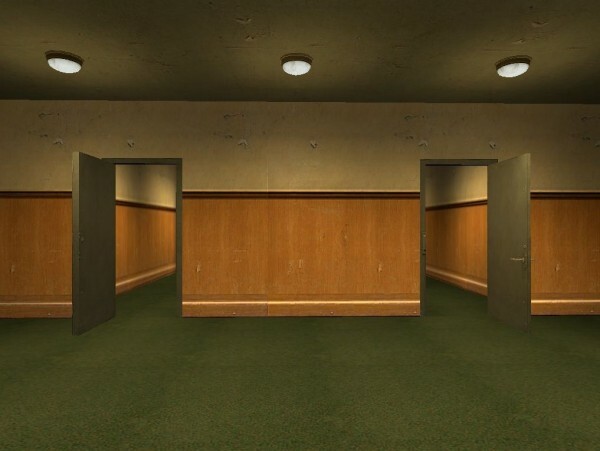 Do you think The Stanley Parable is something that could only be achieved in an interactive medium like video games? Could you imagine it working as a movie, book or comic? Like I said before, The Stanley Parable is just a series of questions asked really loudly. You can do that in any medium, and it’s been done in almost all other mediums and art forms throughout history. The French New Wave of films for example did exactly that for story in movies. The reason I think this game has struck such a chord is because games are so young, narrative in games is so undeveloped, so those kinds of questions are a lot more out of the blue. Personally that’s why I like games so much, we have such a long way to go so there’s a feeling of discovery and serendipity. Could it work in a book? Sure, but it would have to ask questions about books that no one had ever thought about before, tough since books have been around for so long. That’s for someone else to figure out. The narrator(s) break down the 4th wall more than once, so it makes me wonder whether you see a way of using achievements, tricking the player into using the quit game button without actually leaving and so on. In ideal conditions, how far would you have taken your game? I have this theory that the key element to every game is presenting a challenge that must be overcome. On the other hand, you never feel like you’ve succeeded in overcoming the challenge in Stanley’s predicament. Is “winning” only subjective here, or is the only road to victory not to play at all? So now we’re getting at your ideas about what a game is. There’s really no challenge in TSP, so if you still think of it a game then maybe you need to reevaluate your ideas about what a game is. The point is not to say that one type of thing is a game and another is not, simply to draw attention to the fact that everyone has these preconceptions in their head about what games “should be.” The whole point is that you can never really “win” a game. If you have fun with a game but you don’t beat it, your experience was still valid. I play competitive games all the time where I lose, but I still enjoyed playing. If your idea is that a game is something that has to be overcome, perhaps you had a limited view in the first place. My hope is not that my game provides any definitive answers, just that it provokes a question for each individual player so that they can ask those questions of themselves and come to their own conclusion. Your game has brought up quite a lot of questions. One that came to mind is whether a game that lets you win in only one specific way is as good/bad as a game that only lets you fail, but also lets you choose the way that happens? I think that most games that give you a good/bad option take themselves way too seriously. Even if half the players choose to be evil, we can still be pretty sure 50% of gamers don’t think of themselves as Hitler. It’s just an arbitrary fantasy, rather than an actual determination of whether you’re a good or bad person. How is that any less arbitrary than a game where you always fail? Those games are welcome to do whatever they please, but I think a lot of energy gets put into defining those arbitrary distinctions when really they mean just as little as in a game where you die every time you play. Your commentary says that after two years of work on Stanley’s Parable, it killed your career ambitions. Care to talk more about the development process? This is the only game I’ve ever made, I just had an idea and decided I wanted to figure it out. That was brutal, especially since Hammer (Source’s level design software) is really buggy and hard to use. So I trudged through, working until I came to something I couldn’t figure out, then beating myself up over it until I took a month long break. Problems were solved by asking on forums until someone told me what to do; if my credits included people who responded to my questions on development forums it would go on for pages. In retrospect it was a bad idea to take on such a big project as my first game all by myself, and it was the emotional toll of having to sit in front of my computer all day that really got to me. The biggest motivator to keep on going was the knowledge of how much money I had sunk into hiring my actor. I just realized that game development is not inherently interesting for me, the experience was not motivating enough to outweigh the stress of development. How are you enjoying all the attention and reception? I couldn’t put it in words. I realize it’s trite to say “I’m overwhelmed,” but that’s what it’s been. I was actually driving from Sacramento to Los Angeles when Notch tweeted, then RPS and Kotaku wrote posts, I was pulling over every 30 mins to check the news on my phone and scream/cry/sing. I’m in a bit of a daze, it hasn’t exactly sunk in. If random people weren’t telling me “wow, you’re getting so much press!” I’m not entirely sure I would believe it myself. I’m going to need to give this a little time before I have any real sense of what’s going on, being a minor internet celebrity for a day and a half is a little too bizarre to process right now. The most incredible thing has been people writing to tell me their personal stories with the game, saying how profoundly it touched them, saying it changed the way they look at games. The fact that people are really getting the message I wanted to send across, that’s by far the most real and personal element of this whole experience. So… everyone I’ve talked to is pretty impressed with the narrator, and so am I. I don’t think you could have found a better fit. Did he meet your expectations? I went on a voice casting website and put out a call for auditions. Kevan Brighting (kevanbrighting.com) was one of about 40 people to submit auditions, and 2 seconds into listening to his piece I knew he was the person who absolutely had to do it. I am convinced that if he somehow had not submitted an audition, I would have hired someone less amazing to do the narration and the game would have completely tanked. He’s half the reason the game has been successful, there is literally not a more perfect voice I could ask for. I must have some guardian angel looking over me because while much of the development was hard work and sticking with it, this was just sheer amazing luck. Where do you intend to go from here? Try to top the Stanley Parable or retire from modding and game development? 2 years ago my plan was to use this game to attract developers who wanted to help make more of these kinds of games, leverage to help me get into the gaming industry. But then in the course of making this game I kinda burnt myself out, I swore that I wasn’t going to do anything else, I was out. The irony is that I now have more opportunities to pursue game development than I could ever have dreamed. What I’m definitely going to do is remake TSP with some developers who actually know what they’re doing, to make something that looks like a real designer made it. A lot of people have been asking for that. After that…I don’t know. This needs to sink in for a while. What I’m NOT excited to do is “try to top TSP.” There’s so much pressure for a new game now! I’m sure this is how anyone with a major success feels, and we ALL know that the followup to any smash sensation is rarely as beloved as the original. I want to put a little distance between myself and this game so that I’m not comparing the new projects to the old ones, let the hype die down a little bit. Then, if I’m ready for it and doing it because I have a unique idea that genuinely moves and inspires me? ……maybe. If any level designers want to work on future projects you can contact me, my email is dwreden@gmail.com. Thank you! I’m glad people care about this project and want to know more. Update: Davey Wreden did a 10 minute movie which asks many questions. We suggest you folks give it a watch.